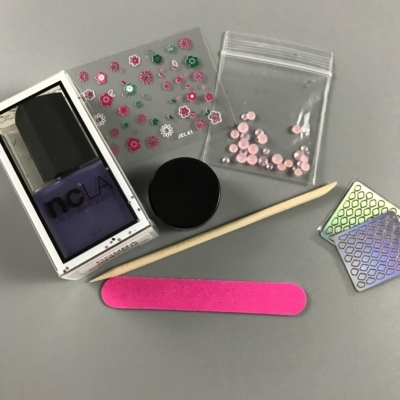 NailDash Kit is a monthly nail art subscription. 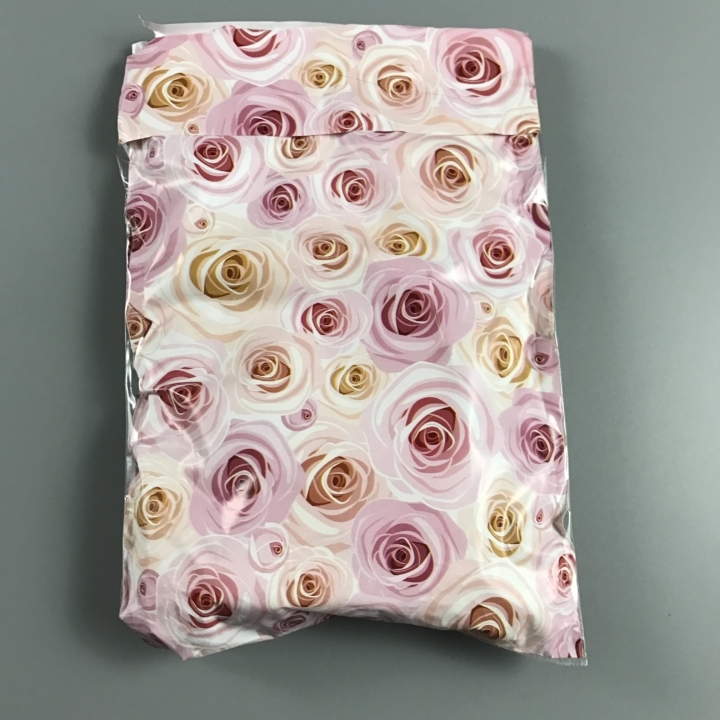 Every month, subscribers receive 1-2 nail polishes, and 3-5 other nail related items such as accessories, tools, and nail care products! 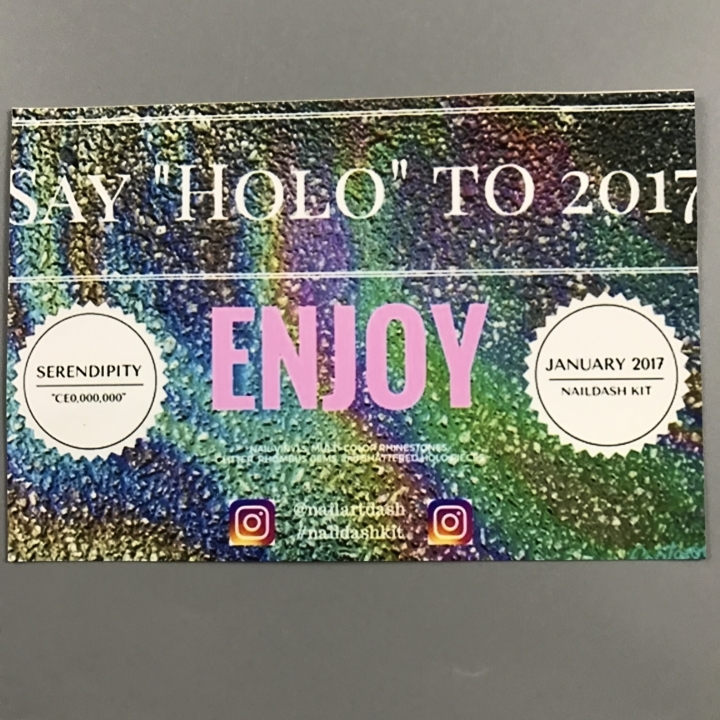 Say Holo (hologram) to 2017. This little content card has a list of what is in the box but it’s incredibly difficult to read. The header is cut off on both sides. 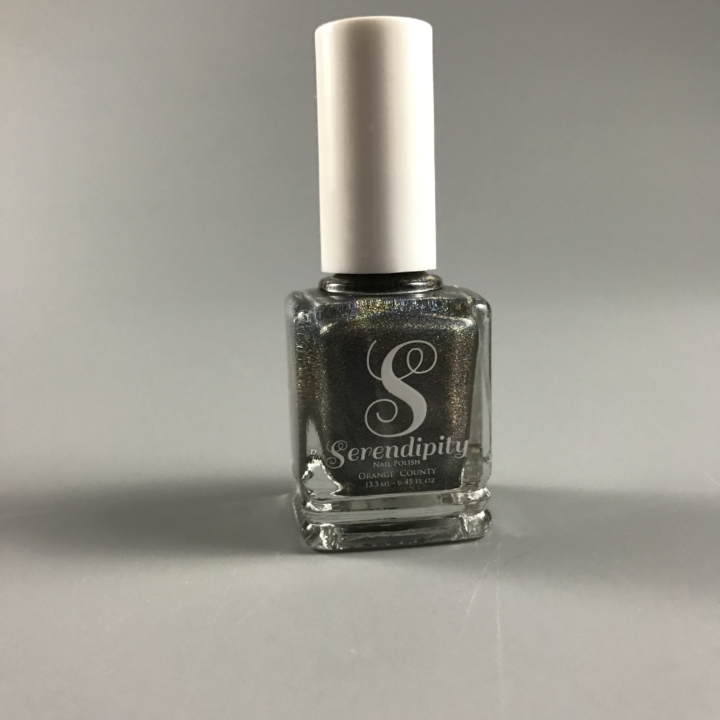 Serendipity Orange County CEO, 000,000 ($12). 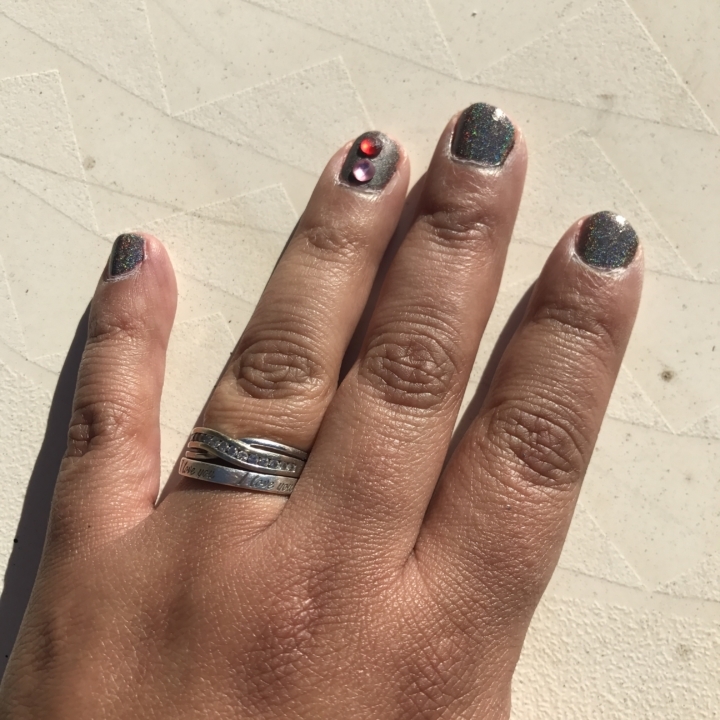 I love that this is sparkly without the glitter feel. It’s easy to remove but takes a few coats to really get a nice covering. The muted gray is fun for a night out on the town but in my opinion not professional enough for the work week. 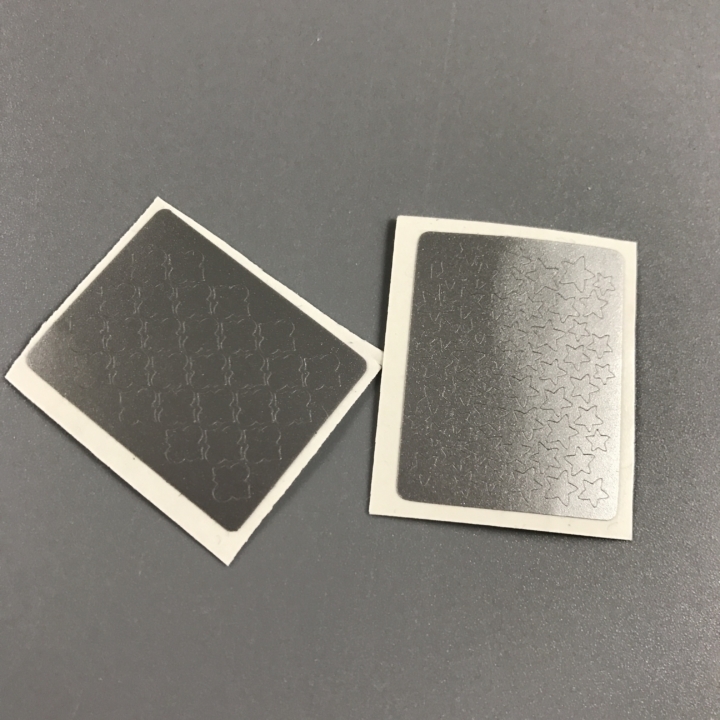 Two Sheets of silver nail stickers. 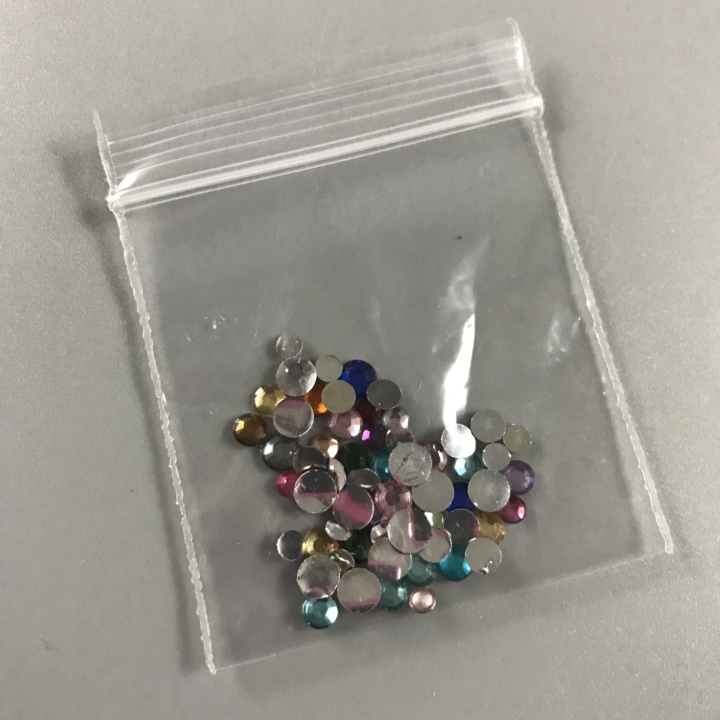 These didn’t come protected at all, they were thrown into the main bag to fend for themselves. Luckily, they only came slightly bent. I am looking forward to using these to create a funky pattern and break up a color that could be slightly too bold. Multi Colored Prisms. These are huge and I’m not sure they will fit on any of my short nails, well maybe my big toe nail but I don’t normally do my own toes. I am in love with the way these reflect the light because it’s breathtaking but I can’t see myself actually using this product. Transparent Circles. These are a very pretty purple color but that gets lost once they are added as a top layer to this polish. They are also very difficult to work with since no tools were provided to apply them. I used a damp toothpick to place them and it worked out pretty well. 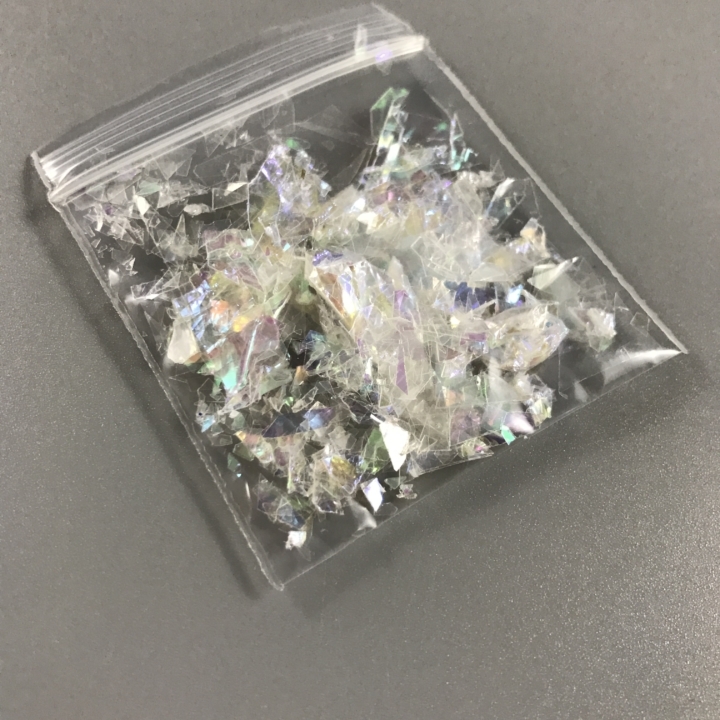 Shredded Iridescent Paper. 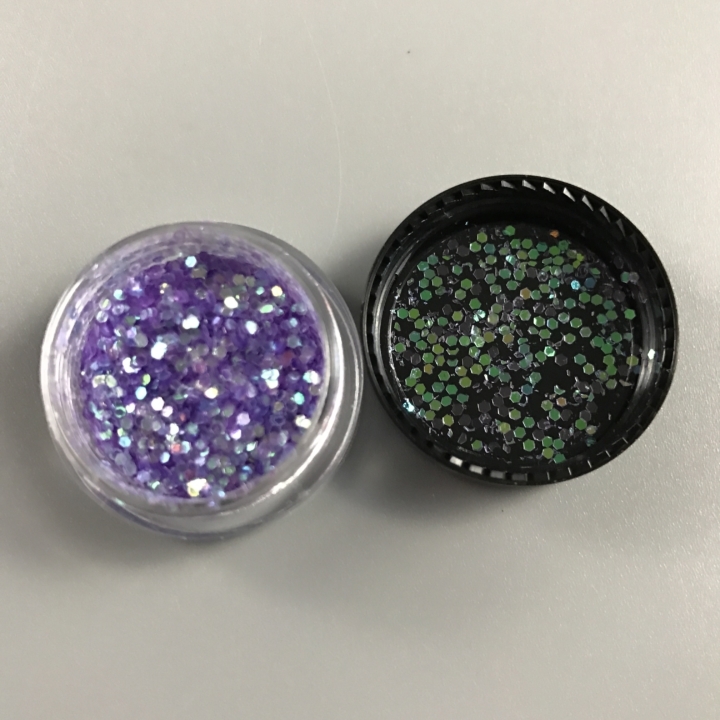 This looks more like confetti than something I’d want to adhere to my nails and since there are no instructions, I will not be using it at all. 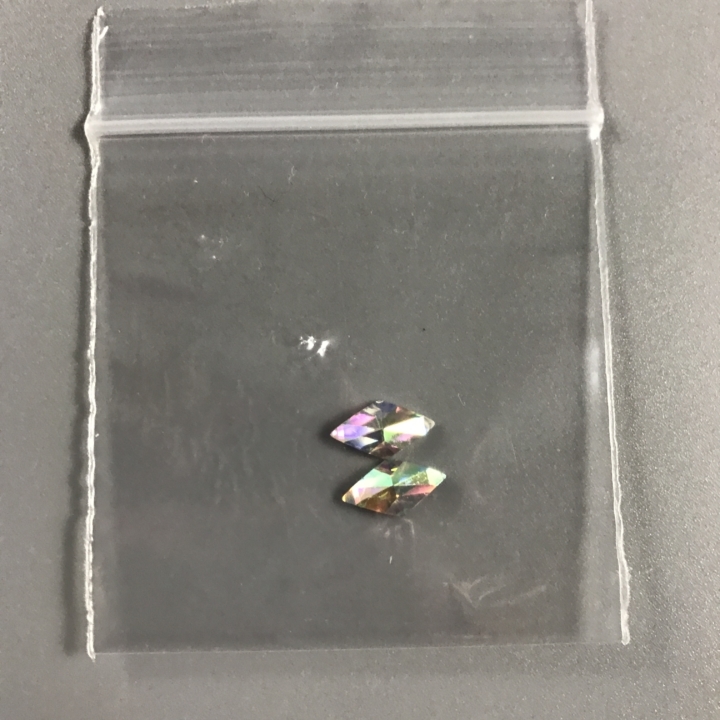 Multi-colored and multi-sized gems. Once again, no tools to help put these on and no instructions. I did use them but was not happy with the look or lack of staying power they had. 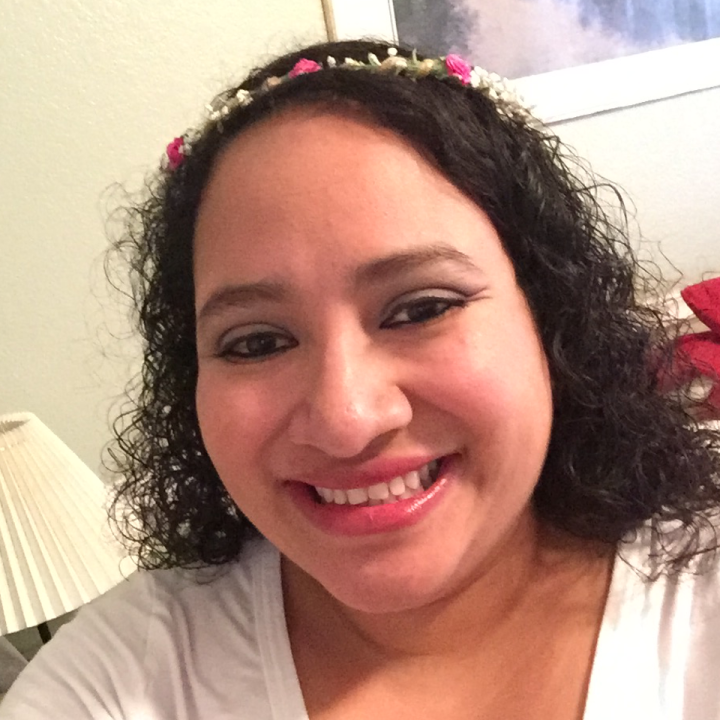 Within 4 hours they had been caught in my hair and popped off. NailDash Kit was not my favorite nail kit to date. I felt like because the polish was decently priced it didn’t very much matter what else was in the box. With no instructions, you have to Youtube or know how to do nails in order to use the products to their full capabilities. However, I’m hoping that February’s box steps up the game. Visit NailDash Kit to subscribe or find out more! 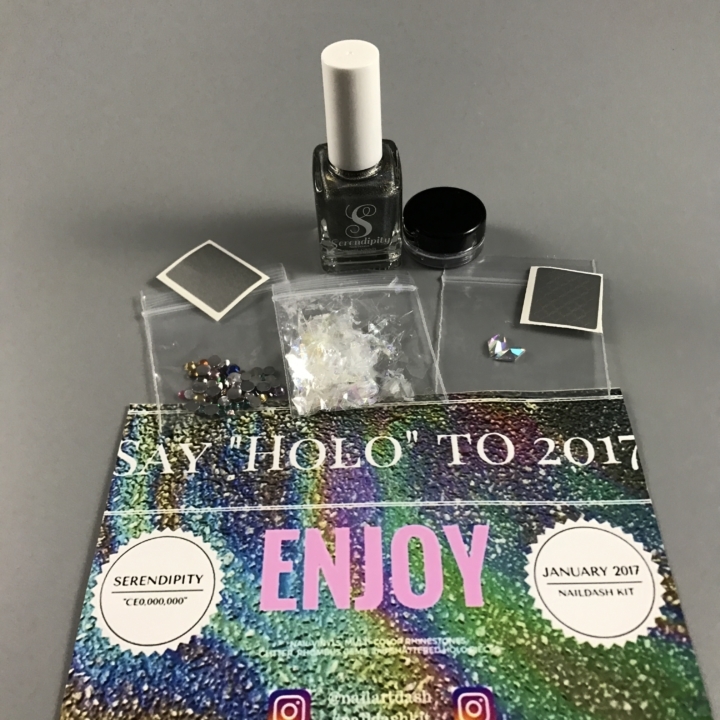 Every month you will receive 1-2 Nail polishes, and 3-5 other nail related items such as accessories, tools, and nail care products!